The Oscars aren’t just a competition for cultural value: They double as an assessment tool that helps pick the industry’s economic winners and losers. What’s the value of an Academy Award? It’s a question I’ve been mulling over ever since the Academy of Motion Picture Arts and Sciences—the revered gatekeepers of America’s film industry—announced the nominees for their 88th Academy Awards ceremony, also known as the Oscars. In a bold feat of tone-deafness (read: overt racism), the Academy chose not to nominate a single black actor in any of their four acting categories—again. I wasn’t surprised by the Academy’s casual racism in refusing to recognize black performers at this year’s ceremony. Hollywood’s diversity problems aren’t new. The fact that there are still people who blithely question whether black performances are even worthy of recognition speaks to the existence of pervasive bigotry within the institution. It’s why black people (along with other historically marginalized communities) have banded together to create our own institutions to recognize our work: Without celebrations like the National Association for the Advancement of Colored People (NAACP) Image Awards—and yes, even the BET Awards—daring to uplift black performers in Hollywood, where else could we go to applaud and honor our stars? What did surprise me was how some high-profile individuals like Helen Mirren, instead of grappling with the issue of the Academy’s accountability to black actors, blamed this year’s lack of black nominees on broader race and power dynamics within the industry. The Academy’s lack of racial sensitivity, she argued, is a symptom of a deeply engrained culture of racial bias that disadvantages black professionals; as a result, one should not read racist intent into the Academy’s nomination decisions. It isn’t entirely wrong to deflect blame onto the wider industry. As many have rightfully pointed out, diversity in the industry starts in the boardrooms where casting and business decisions get made. But in our hurry to write off the Oscars’s diversity problems as the logical byproduct of Hollywood’s ubiquitous racism, we shouldn’t dismiss the Academy’s distinct responsibility to recognize black artists. 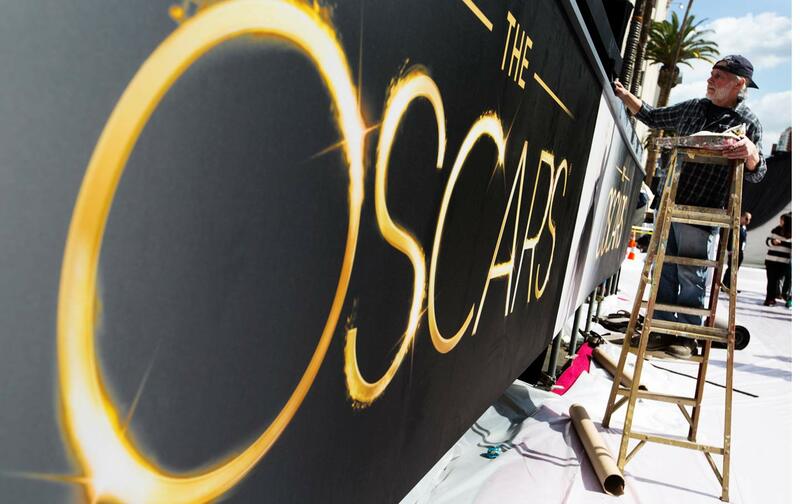 More than mere pageantry, the Oscars award ceremony represents an issue of economic justice because of its role as a public evaluation of people in the film industry. Neither the Academy nor the Oscars operates in a vacuum; the Oscars is where Hollywood ascribes value to the artistic and cultural experiences that move and define us, and by proxy the performers whom embody these stories. Moreover, the awards aren’t just a competition for cultural value: They double as an assessment tool that helps pick the industry’s economic winners and losers—in full view of the adoring public. While mainstream recognition from an institution like the Academy is not necessary to validate the contributions and experiences of black performers, it still carries significant implications for the economic realities of the movie industry. Because the vast majority of black artists don’t receive the same opportunities for exposure as their white counterparts, they aren’t given access to the same springboard that launches other workers in the industry. For the working actor, the value of an Academy Award is concrete: increased exposure to the best directors, casting agents, and managers, combined with greater leverage for higher pay and more favorable working conditions. Even receiving a nomination can make it easier to book the next job and sustain a career. And as resilient as black people are—black entertainers especially—it is not enough for us to simply create spaces where we validate our own work if those spaces do not wield the same access to economic opportunities. Dismantling systemic racism goes hand-in-hand with ending economic inequality, and it’s imperative to the liberation of black people that we tackle them in tandem. And so, we must fight for inclusion in mainstream spaces where our economic futures are at stake, and also create spaces for black achievement to be validated in a way that honors and respects us. The whitewashing of the Academy Awards presents a unique economic challenge to black performers and other black workers in the industry. In addition to shaking our fists at the intersecting systems of oppression that permeate Hollywood, we must call equal attention to the Academy’s actions—specifically, because they speak to a larger ethos for how black work and blackness go unrecognized and devalued within the film and greater entertainment industry. Michael J. BrewerTwitterMichael J. Brewer is a progressive political flack by day and avid Netflix enthusiast by night.